On December 11, two therapy dogs, Seamus and Othello, visited the Health Sciences Library. Therapy dogs bring calmness and joy to people, and provide the unconditional love that is so important to a person who is going through a difficult illness or emotional trauma. The event was the brainstorm of Lynn Gunter. 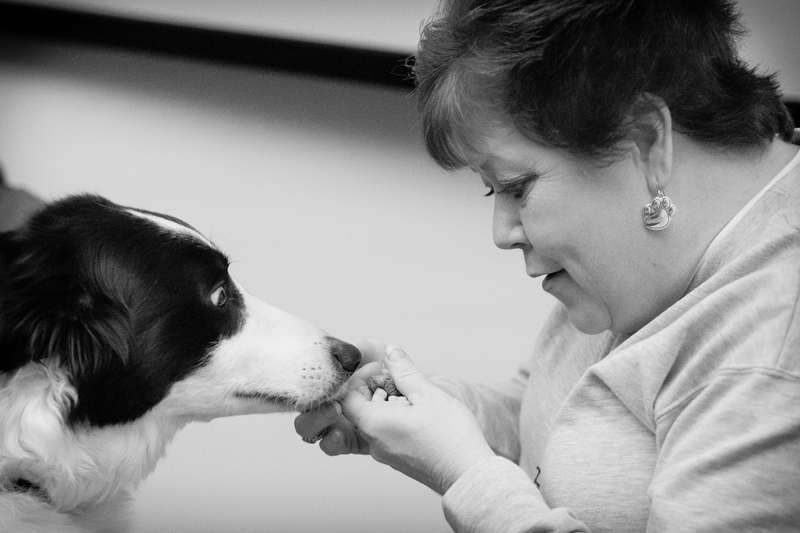 Lynn has worked with therapy dogs in nursing homes and other settings. Many of the people helped by therapy dogs have few opportunities for interactions with others. “It is so heartwarming to see the brightness in the eyes of people” served by the dogs, she said.